There is not enough understanding in India that the Chinese Belt and the Road project is a consequence of an economic imperative in China, which is undergoing structural change, and has less to do with geopolitics as is easily assumed. A first-time visitor to hot and humid Shenzhen, the port city of Guangdong province in southeast China, will be stuck by the grandeur of what is clearly a modern mega-city. The city, which abuts Hong Kong and a gateway to southern China, is a showcase of the country’s reforms era (1978-present). What was once a fishing village in the late 1970s, has transformed itself after a special economic zone was designated there in 1979. Many parts were built up to accommodate businesses and factories to aid in the rapid urbanisation that was wrought out from foreign investment, dedicated urban governance and by leveraging the coasts of the Pearl River delta and the South China Sea. Within four decades, the city has grown into a tertiary hub, host to high-technology companies, highly skilled manpower and an equivalent of the Silicon Valley of the United States. Today, the port city serves an important function in China’s outreach to the world by being a major outpost in the Maritime Silk Road project. It is also the base of some of the busiest container terminals on the Pearl River delta. AS briefly indicated earlier, the Kargil War of 1999 was highly significant, and it is imperative that we do not repeat the initial mistakes we committed then (‘And she didn’t have 272’, IE, June 15). 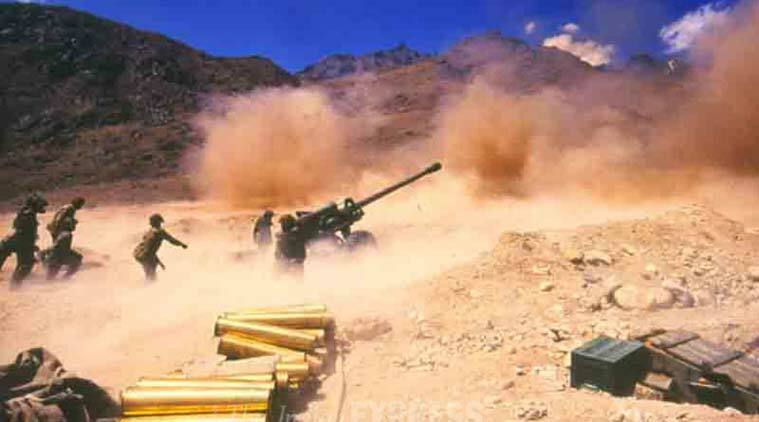 The worst of these was that, until on May 3 some shepherds alerted the nearest military post about Pakistani infiltrators on Kargil and neighbouring heights building bunkers for themselves, the country knew nothing about this grave happening. Counter-measures began immediately, of course. But it still took more time before we realised that the invaders were not just “mujahideen”, but also soldiers of Pakistan’s Northern Light Infantry. China is trying to sweeten the deal by offering India and Pakistan membership of the SCO. The signal is that Chinese munificence is based on India accepting their vision of future Asian integration with China as the hub. Prime Minister Narendra Modi’s second Brics summit, now in Ufa, Russia, on July 8-9, 2015, will take place amidst a changed global situation, economic crises of some members and testy domestic developments compared to his Brazil visit immediately on assuming office. Firstly, only the second time after 2009 is the Brics summit being clubbed with that of the Shanghai Cooperation Organisation (SCO). Last time the justification was the international financial crisis. Secondly, both Russia and China have looming stand-offs with the US and its allies, the former over Ukraine and the latter in the South China Sea. Both wish to redefine the Asian power structure and diminish America’s role. Central Asia, at the centre of the Eurasian land mass, assumes importance as a source for oil and gas. The US tilt in South Asia is not a sudden development, in fact, after the demise of the Soviet Union there has been a gradual convergence of interests between New Delhi and Washington. Before the Cold War any alliance between the US and India remained out of the question due to Nehru’s policy of nonalignment. However, the US always recognized India’s regional importance. The first step towards India came when General Claude Kicklighter visited India in 1991. Subsequent agreements that took place to develop the joint training exercises marked the first military-to-military cooperation between United States and India. Immediately thereafter, high level discussion on strategic interests took place in January 1992 in New Delhi. At that meeting, India was considered as the only country that could act as a regional stabilizing force against the spread of “Islamic fundamentalism”. Our neighbour shares our penchant for branding citizens as anti-national. Ever since its inception in 1947, one thing that Pakistan is excelled at is producing traitors. Using the allegations of treachery to malign politicians, intellectuals and activists has been a time tested practice in Pakistan. The first traitor of Pakistan was Huseyn Shaheed Suhrawardy. He was the premier of Bengal in United India and was instrumental in making East Bengal a part of Pakistan. He spent three months in Calcutta with Mohandas Karamchand Gandhi after Partition. During that period, He helped in pacifying the anti-Muslim riots in the former capital of United Bengal. Upon his return to Pakistan, he was deprived of his national assembly membership and was declared a traitor. The post-2014 condition in Afghanistan, after the disengagement of the US-NATO-International Security Assistance Force, has been a matter of serious debate. The main trouble lies in foreseeing the genuine aspirations of sundry actors involved in the Afghan predicament, particularly of the US. The US, without any proper strategy, has been unable to figure out the shamble in Afghanistan, for which it is to some extent accountable. As a result, the it has sabotaged the entire region through ‘defective’ strategies. The only ‘trophy’ that it can avow is the elimination of Osama bin Laden. Otherwise, the ‘terrorism’ that the Americans came to eradicate has increased, not decreased. If anyone was under the impression that India’s notification to the United Nations sanctions Committee to rein in Pakistan under Resolution 1267 over the release of dreaded terrorist and commander of the Lakshar-e-Taiba, Zaki-ur-Rehman Lakhvi, would have the nod of China, he/she was living in an illusory world. Even if India had provided “enough information” China would still have maintained that New Delhi had failed to do so and would have adopted every other procedural manoeuvre to prevent Pakistan from being raked over the coals. What really would have been news is if China had gone along with other permanent members of the United Nations Security Council to consider India’s referral. That being the case it is difficult to understand why there is so much heartburn in the media and elsewhere on the latest Chinese action. In fact, this is not the first time that China has let its client state off the hook, much to the dismay of the international community, even while mouthing all the nice things about having to cooperate on issues of terrorism. With even Pakistan now sporting an armed unmanned aerial vehicle (UAV) developed with Chinese assistance, India has decided to accelerate the development of its own weaponized drone fleet. The process of weaponizing an indigenously developed UAV has commenced and the elements required to operate an armed drone fleet, such as a high accuracy satellite-based augmentation system (SBAS) and dedicated military communication satellites, are being put in place anyway. Work is also underway on a stealthy unmanned combat aerial vehicle (UCAV). Despite this, India still has to make some progress on the collision avoidance technology needed to give its drones the flexibility to use civilian airspace. 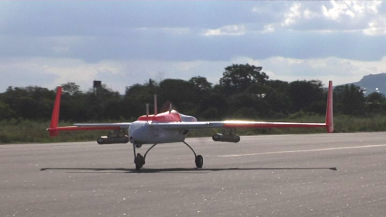 It will also need to increase satellite bandwidth considerably to increase the tempo of armed UAV flights. In the next few years limited use of drone strikes near India’s borders on terrorist targets may be on the table, in keeping with the emerging Modi-Doval doctrine that authorized the recent cross-border strike in Myanmar. If arms sales are increasingly a commodity business, governed mainly by price, it could increase regional militaries’ access to advanced military equipment and technologies. Still, other factors affect any true “commoditisation” of the regional arms market. Is the global arms market, and in particular, arms sales to Southeast Asia, becoming increasingly “commoditised”? Commoditisation refers to an economic situation in which there exists an almost total lack of meaningful differentiation between competing products, and when they are instead sold almost entirely on the basis of price. Commoditised products are characterised by standardised, common technology or attributes, rather than brand or capabilities uniqueness, resulting in basically a price-based competition. If arms sales to the region are increasingly a commodity business, therefore, it would result in the expanded access of Southeast Asian nations to advanced military equipment and technology. After attending the Strategic and Economic Dialogue in Washington, D.C., Chinese Vice Premier Wang Yang arrived at his second stop – Cuba. This September marks the 55th anniversary of the establishment of diplomatic ties between Beijing and Havana, and China wants to make sure the occasion doesn’t pass unnoticed. While the two countries have had diplomatic ties since 1960, by China’s own admission “there were little substantive contacts between China and Cuba during the period of Cold War.” China and Cuba began increasing their interactions, particularly high-level visits, in the 1990s. Then-Chinese President Jiang Zemin went to Cuba in 1993 and 2001; his successor, Hu Jintao, visited in 2004. Fidel Castro, who served as Cuba’s president from 1976-2008 (and as prime minister from 1959-1976) visited China in 1995 and 2003. His brother Raul, who succeeded Fidel as president, made his own trip to China in 2012. Current Chinese President Xi Jinping visited Cuba in July 2014, part of a broader tour of Latin America. Plus, U.S-China relations, China’s military strategy, and one woman’s experience with urbanization. Friday China links. The constitution for the Asian Infrastructure Investment Bank is set to be signed on June 29, Xinhua reports. Representatives from all 57 founding member states will gather in Beijing for the signing ceremony. AIIB members finalized negotiations on the constitution in May; after the document is formally signed, each country will still have to ratify it according to their own domestic processes. Australia’s treasurer, Joe Hockey, told Sky News that Canberra felt its original concerns about the governance of the bank (concerns shared by the United States, which lobbied allies not to join) had been adequately addressed. “’We are absolutely satisfied that the governance arrangements now in place will ensure there is appropriate transparency and accountability in the bank,” Hockey said. Australia is set to be the AIIB’s sixth largest stakeholder, following China, India, Russia, Germany, and South Korea (in that order). In an unexpected development, China’s Haiyang Shiyou 981 oil rig is back in contested waters. Reports began emerging in the Vietnamese media on Thursday that China’s Haiyang Shiyou 981 (HD-981) oil rig—the centerpiece of last summer’s clashes between Vietnam and China—was being redeployed off the coast of China’s Hainan Island, in waters where the disputed exclusive economic zones (EEZs) of Vietnam and China overlap and west of the disputed Paracel Islands (known as the Xisha Islands in China). Vietnamese reports, citing a China Maritime Safety Administration (MSA) announcement, noted that the rig was deployed to the coordinates of 17°03’75’’ North and 109°59’05’’ East, approximately 120 nm from Vietnam’s coast, 63 nm from China’s Hainan Island coast, and 87 nm from the nearest Island in the Paracels (mapped below). Relations between China and India, the world’s number one and number two most populated countries respectively, have always attracted worldwide attention. Today, these two countries are ranked among the most important economies of not only Asia but the entire globe. China is currently the second largest economy in the world, while India is the seventh. The increasing economic capacities of the two countries continue to boost their weight in global politics as well. In that regard, it is not surprising to see that both have been invited to the G-20, which came into existence as the G-7’s scope was widened. China and India also embarked on a quest to establish a non-Western global economic order by founding the BRIC in 2001 together with Russia and Brazil. This entity, which evolved into what we now know as the BRICS, with the participation of South Africa, has additionally given way to the foundation of a development bank. Likewise, India became a founding member of the Asia Infrastructure Investment Bank (AIIB), which was recently established by China as an alternative to the U.S. and Japanese-led Asian Development Bank. What a difference one year can make. US officials are now using less the word terroriststo describe the Islamic State, and more often words like formidable or a resilient foe. It appears they have good reason to change their view on what is evidently more of an army and less of a “group”. An army that appears like a mutating virus and that is able to adapt with swiftness and speed to its enemies’ strategies to such an extent that professional armies find themselves changing their military tactics from offensive to defensive. The Islamic State continues to manage to acquire more territories, almost immediately after losing other territories. Is this phenomenon a coincidence or is it a well thought-out strategy? For the past few months, Kobani and the surrounding area have been something of a sanctuary in Syria. Since the withdrawal of self-declared Islamic State from the northern town in January, it had been peaceful. The threat of violence seemed low enough for reconstruction efforts to begin. Foreign aid workers started shuffling in and out. It was seen as a place of relative calm, where the future, at least, looked positive. Not any more. One attack has changed everything. Around 150 people were killed on Thursday when a large group of IS militants infiltrated the predominantly Kurdish city, carried out a series of bombings and fired indiscriminately on civilians. Zack Baddorf recently went to the Ukraine to cover the bloody conflict for War Is Boring that has cost over 6,000 lives and devastation to the eastern portion of the country. Whole towns and cities are ravaged, Shyrokyne is in shambles, Donetsk Airport is gone, and most inhabitants have fled. He’s a veteran of the U.S. Navy, has over 10 years of journalism experience, and has contributed and reported for the Wall Street Journal, Associated Press, NPR, BBC, Seattle Times, Vice, & War Is Boring — among other top tier global news agencies. Zack’s topical correspondence has spanned over 30 countries, including: Afghanistan, Iraq, Syria, and the Ukraine — from cinematographic work with U.S. Special Operations Forces on ATV’s, to frontline reporting on the conflict in eastern Ukraine, to reporting on the chemical attacks used by Assad’s regime against its citizens in Syria — and the aftermath that coincided by the inaction of the Obama administration, to the plague of ISIS in Kurdistan. Zack is also the Co-Founder & Chief Creative Officer of Expeditionary Communicators, a disabled veteran owned & operated small business that builds communication experiences for non-profits, government agencies, and other entities. He also teaches communications at New York University as an adjunct professor and is currently working on his third master’s degree. WASHINGTON -- Russia is "playing with fire" by suggesting it would threaten the use of nuclear weapons in territorial disputes, and the Obama administration believes this is part of a Russian intimidation campaign against the NATO alliance, the Pentagon's No. 2 official said Thursday. Robert Work, the deputy secretary of defense, said he's troubled by what he calls Russian provocations. He described Moscow's defense strategy as seeking to control the escalation of security tensions by raising the nuclear ante. "Anyone who thinks that they can control escalation through the use of nuclear weapons is literally playing with fire," he told a House Armed Services subcommittee hearing on U.S. nuclear strategy and plans for nuclear modernization. For the first time in a decade, Russia spent a higher portion of its GDP on defense than the U.S. in 2013. To those who lived through it, the night of November 9, 1989, seemed to mark a new epoch in human history. The Berlin Wall was suddenly undefended, in a single delirious moment that promised to end the Cold War division of Europe. Two years later, the Soviet Union would be dissolved. Elected leaders would govern Russia for the first time since the country’s brief democratic experiment of 1917. “Europe whole and free” seemed more than a far-off aspiration: it seemed a work in the making. A quarter century later, Russia under Vladimir Putin is more repressive and more aggressive than the Soviet Union under Mikhail Gorbachev was. It has invaded Ukraine and menaces the Baltic republics. In 2013, Russia spent a higher portion of GDP on defense than the United States for the first time in a decade. As Europe contends with economic depression and internal terrorist violence, Russian money flows to extremist parties in the hope of breaking apart the European Union. One former Warsaw Pact member, Hungary, is backsliding toward authoritarianism. “Europe whole and free” sounds like haunting mockery. Different cycles influence a country’s economy: the business cycle, the credit cycle, the regulatory cycle, the moral cycle. One that is seldom talked about is the debtor-creditor cycle. George Soros deftly describes the relationship between creditors and debtors as “the collective system of lending” in Alchemy of Finance. In Greece’s case this cycle is of particular importance, as Greece needs a significant debt haircut in order for the economic cycle to restart. While that is not the only prerequisite, it is still essential. The search for alternative investors and markets has been a political priority for President Vladimir Putin and his government since Western countries imposed economic sanctions on Russia last year. The resulting pivot to China may seem merely cosmetic, but it is happening. Admittedly, most of the vague and extremely long-term mega-deals signed by the two countries' governments over the last year will have no immediate effect. Even so, China has become one of the two biggest sources of funding and investment for the Russian economy. The other is the money Russian businesses have stashed in tax havens and bring home as needed. The Chinese share of Russian trade is growing, too. Russia received only $21 billion in net foreign direct investment last year, compared with $69.2 billion in 2013. Most of the money came from offshore havens such as Cyprus, the Bahamas and the British Virgin Islands. Among non-offshore source countries, China, with its $1.3 billion in direct investment, was second only to France. That's a tiny amount, but a sign of change: In previous years, Chinese investment never exceeded $450 million. Retired Brigadier Arun Sahgal, one of India’s top experts on nuclear policy, reasserted his country’s “no first use” doctrine in a June 23 presentation to the Atlantic Council. Sahgal, Director of the New Delhi-based Forum for Strategic Initiative, doesn’t represent official thinking, but he spoke from thirty-six years of experience in the Indian Army. It's been more than three decades since the vast peace protests took over Bonn's Hofgarten meadow in the early 1980s. Back then, about half a million protesters pushed their way into the city center, a kilometer-long mass of people moving through the streets. It was the biggest rally in the history of the German Federal Republic. Today, the situation isn't quite that fraught, but it seems feasible that a similar scene may soon play out in front of the Chancellery in Berlin. For some time now, the Americans have once again been thinking about upgrading Europe's nuclear arsenal, and in the past week, a rhetorical arms race has begun that is reminiscent of the coldest periods of the Cold War. Foreign Minister Frank-Walter Steinmeier warned of an "accelerating spiral of escalating words and then of actions." He described them as "the old reflexes of the Cold War." Berlin is concerned that Europe could once again become the setting of a new East-West confrontation -- and that Germany might once again become a deployment zone. A source in the Defense Ministry suggested that "more (military) equipment may once again be stockpiled in Germany." Washington plans to station tanks, weapons and heavy equipment for 5,000 soldiers in Germany and the eastern NATO countries. US President Barack Obama hopes that doing so will soothe the fears of the Baltic States and countries in Eastern Europe, which, since the Ukraine crisis, are once again fearful of Russian aggression. He also hopes to quiet his critics in US Congress. Hmm…. Doug Bandow thinks it is possible to plot a coup in north Korea but there is little sign of resistance, only increasing repression. Minister Hyon Yong-chol probably has been purged, though his picture atypically appeared in older television programming after his alleged demise. Perhaps the best evidence that Hyon is dead is the DPRK’s failure to produce him to embarrass the Republic of Korea. However, South Korea’s intelligence agency acknowledged that it could not confirm his particularly gruesome form of execution. If Hyon was executed quickly and unexpectedly, it probably wasn’t for dozing off, even in front of the new strongman. More likely the military man was plotting, or at least feared to be plotting, against the North’s leadership. Certainly that is a better explanation for his expeditious dispatch, especially by an anti-aircraft gun. Speaking to students in St. Petersburg last January, Russian President Vladimir Putin claimed the Ukrainian army “is not an army, but a foreign legion, in this case a foreign NATO legion.” For going on three decades now, Russia and her apologists have used that term—NATO’s foreign legion—mostly to deride former Soviet-era allies who joined the western alliance. The intended epithet aside, however, the notion of a NATO “foreign legion” has a less one-sided provenance than one might think: in October 1960, for example, President Eisenhower (shortly before a NATO Council meeting) floated the idea of a strategic force under exclusive alliance control, and subject to a code of discipline and conduct like that of the French Foreign Legion. With global deaths from terrorism up more than 4,000 percent in a dozen years, can we really call America’s counterterrorism a "success”? Should the US Spend 1 Trillion on Nuclear Weapons? The United States will have to spend $18 billion a year for 15 years starting in 2021 to keep its nuclear weapons operational, Kris Osborne over atmilitary.com reports. His assessment is based on the testimony of U.S. Deputy Defense Secretary Bob Work in front of the House Armed Services Committee yesterday. The subject of the hearing was nuclear deterrence. “We’ve developed a plan to transition our aging system. Carrying out this plan will be an expensive proposition. It is projected to cost DoD an average of $18 billion a year from 2021 through 2035,” Work noted. The Pentagon is in the middle of initiating the modernization of its nuclear triad (land-based missiles, submarine-launched missiles, and long-range bombers). TEL AVIV — An international war game played out here on Monday showed how a single cyber attack aimed at discrediting Iran could ultimately derail an impending nuclear deal between the world powers and Tehran. Conducted at Tel Aviv University against the real-life backdrop of the June 30 deadline set by the P5+1 negotiators, the game's scenario devised by Tel Aviv-based Simulations Laboratory & Strategic War-Games (SIMLAB) started with the online publication of sensitive documents leaked from the US Senate Select Committee on Intelligence. The leaker, a former contractor with a US intelligence agency, went public upon discovering that several of the documents contained evidence of a new Iranian centrifuge facility that Tehran had attempted to hide from P5+1 negotiators. Another document presented a demand by Iran's spiritual leader to accelerate activity at the site in order to attain a nuclear weapon in six months, while yet another document detailed a significant Russian military deployment in eastern Ukraine. Growing technological sophistication by countries and terrorist groups hostile to the United States are forcing the Pentagon to change long-held views about missile defense, said Gen. James E. Cartwright, Former Vice Chairman of the US Joint Chiefs of Staff. Cartwright, who retired from the US Marine Corps in 2011 after a forty-year career, now holds the Harold Brown Chair in Defense Policy Studies at the Washington-based Center for Strategic and International Studies. Video games are huge business, sales of electronic entertainment have surpassed movies, books and television for several years now. But more than that, video games are art. The medium possesses the unique ability to transport a player to another world completely. 1) The United States Military is one of the world’s largest providers of international aid and disaster relief. As well as this the military also makes regular deployments to disenfranchised and impoverished developing nations to provide immediate health and medical support during times of non-violence or disaster. These services are free to the people of those nations and supported entirely by United States taxpayer dollars. Almost 70 years after Chuck Yeager and the Bell X-1 team broke the sound barrier, the Air Force is working to defy the next frontier in speed: hypersonic travel. Defined as anything traveling above Mach 5, hypersonic flight usually clocks in between 3,800 and 4,000 miles per hour — fast enough to traverse the continental United States in about a half an hour. Humans have reached those speeds before. NASA's X-15 program in the 1960's was able to reach speeds of Mach 5. And the Space Shuttle — while reentering the Earth's atmosphere and essentially free-falling from orbit — is estimated to reach speeds of Mach 25. But the Air Force hopes to make the speed more commonplace than a spaceship landing on the planet. The service is looking to better understand and harness hypersonic flight technology to power missiles and — eventually — aircraft with "supersonic combustion ramjet" engines, or "scramjets." On a March 2015 trip to Seychelles and Mauritius, Narendra Modi outlined a bold framework that overturned the political approach that India had taken towards the Indian Ocean for half a century. Beginning in the late 1960s, Prime Minister Indira Gandhi asked all major powers to withdraw from the Indian Ocean out of concern for great power rivalry. This approach fit with India’s self-perception as a non-aligned and Third World state, and its desire to be economically self reliant and to distance itself from the British Raj, which had long been the central security provider in the Indian Ocean. The context which gave rise to the Gandhi approach began to change in the 1990s, as India embarked on a policy of economic globalization and ended its military isolation. India’s new maritime imperatives did not, however, translate into a vigorous national strategy. India’s approach was weighed down by a lack of coherence, political ambivalence, and above all, persistence of a continentalist mindset in Delhi’s security establishment. The top political leadership still had neither the time nor the inclination to lay out clear goals for the Indian Ocean or the maritime space beyond. China, much like India, had long had a continentalist obsession. As China began to build a blue water navy and put its weight behind its own maritime vision for the Pacific and Indian Oceans, however, Delhi was forced to consider the implications for its own maritime security. Every player of the popular video game Civilization knows to hit the save button before engaging in the risky, stupid invasion of foreign country. In the case of the 2003 invasion of Iraq, it became apparent after the first few months that the war was not working out as its framers had envisioned. The failure to find weapons of mass destruction was only the icing, so to speak, on the disaster of failed reconciliation, state collapse, and executive incompetence. What if we had “saved game” before we invaded Iraq? What would America’s strategic options look like today?